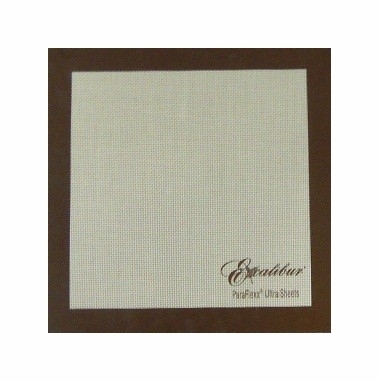 These sheets are an alternative to our recommended premium sheets - While not as effective as the premium sheets they offer a good non stick surface. All you have to do to make great tasting treats and snacks is pour pureed fruits or yogurt and P-E-E-L. You may also use them as baking sheet! These sheets are coated with high grade silicone for great non-stick properties. They are easy to clean and can be used time and time again. The ultimate in Non-Stick Drying Sheets. Super-flexible, high grade silicone coated sheets perfect for virtually any application requiring a non-stick surface. Ideal for fruit rolls and leathers, pureed fruits, raw crackers & cookies, yogurt, & sticky foods. 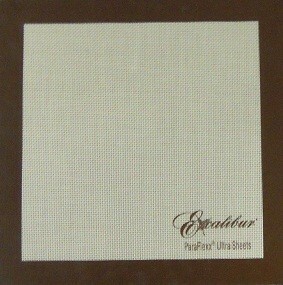 Each sheet measures 11" x 11" to fit the trays on the Excalibur Model ED-2400 dehydrator. Price reflected is per sheet. These work perfectly, I have used them a few times making yogurt drops. For the price you can not go wrong, well worth it. I like these much better than the regular sheets. They are so much easier to clean. You may need to adjust your temperature slightly as they get warmer quicker.